In a perfect, world, we’d all be rewarded for our bold choices. Trying something new would be enough to justify a product’s existence. This, however, is not the world that ZTE’s dual-screen Axon M was born into. Ever since they ditched the keyboard, the screen has been the biggest constraint in the evolution of the smartphone. Not surprising, companies have spent the past decade trying to fix this. Screens keep getting larger, and have started pushing closer and closer to the edge. It’s remarkable what some of the bigger names have managed to do in recent years, in terms of screen-to-body ratio. But even with the countless R&D dollars that have poured into maximizing screen real estate, things like watching movies and multitasking still aren’t ideal on smartphones. Really, it’s the whole reason the tablet market exists. The foldable smartphone is a solution that’s been bandied about over the decades as a potential workaround. There’s been no shortage of concepts, but the tech has tended to be too far off, or just way too difficult or expensive to produce in a truly scalable way. So ZTE decided to just bite the bullet. While the world was focused on bigger names like Apple and Samsung, one of the industry’s great workhorses went ahead and released a dual-screen smartphone. But the Axon M’s dual-screen technology isn’t the result of industry breakthroughs. All of those foldable screens we’ve seen paraded at trade shows over the years still seem a ways off. It’s an improvement over earlier attempts at a dual-screen phone — Kyocera’s Echo springs to mind. Even the most middling new handsets are far more capable than high-end devices from a half-dozen years ago. That said, ZTE hasn’t delivered the high-end specs to really back it up. At its heart, the Axon M is an average phone with one (admittedly compelling) gimmick to justify its flagship price. Expectations, ultimately, are what make the Axon M so disappointing. ZTE makes budget phones all the time, and nobody bats an eye. When the Axon M was first revealed, however, a co-worker implored me to get this “magnificent monster” in for a closer look. The system is comprised of two 5.2-inch 1080p screens, joined together by a hinge. Opened up, they measure 6.75 inches. That is, admittedly a lot of screen, dwarfing even the massive 6.3-inch Galaxy Note8. And certainly there’s something appealing in the idea of folding all of that up and sticking it in your pocket. 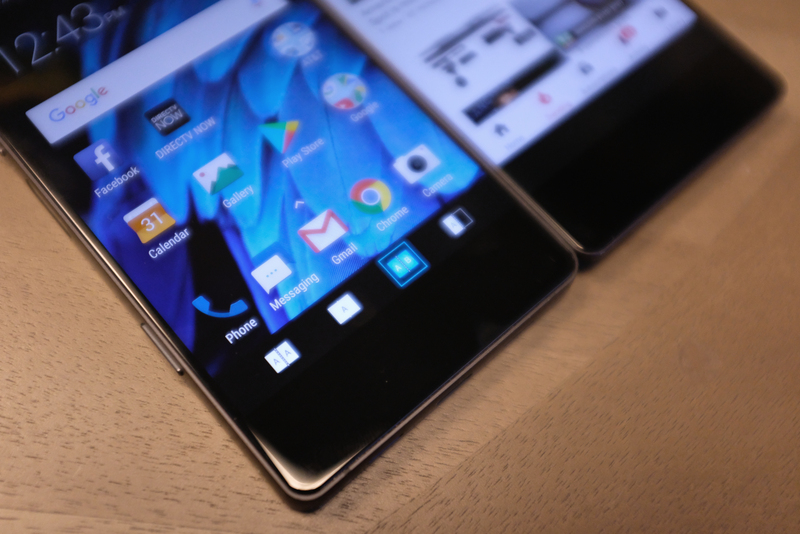 Not surprisingly, the Axon M is a chunky thing. 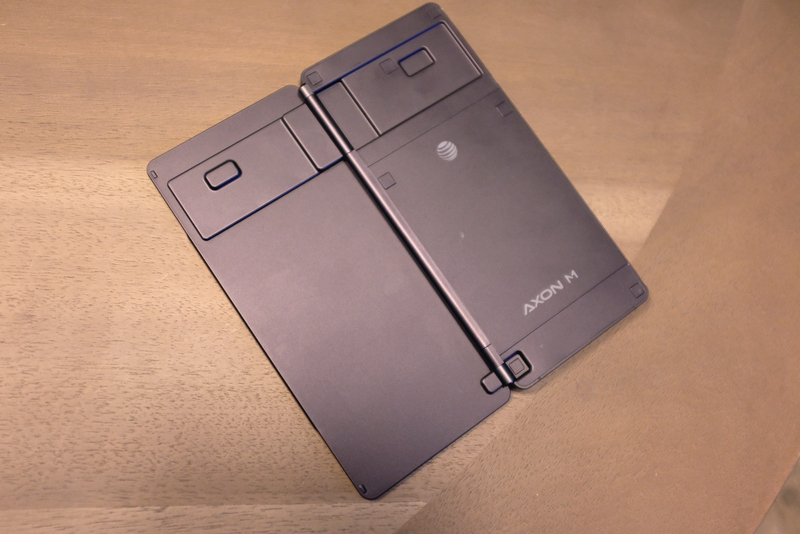 It’s thick and heavy, and the hinge mechanism that holds the two screens together isn’t particularly ergonomic. When shut the screens occupy the front and the back of the device, meaning there’s really no way to hold it without smothering the second screen in handprints. It also means that every time you put the phone down, you’re going to be resting on one of the two screens, so take your pick. There are other strange little design decisions that are seemingly forced by the clamshell design. Take the camera. Two screens, one camera — and it’s located above the primary display. That’s, in part, because the rear of the device is actually inside the clamshell. To get around this fact, firing up the camera will switch screens, making the secondary screen the primary. It’s weird, and it takes some getting used to, but this is the price we pay for being bleeding edge, I guess. The phone sports a solid 3,180 mAh battery. That’s smaller than the Note8’s offering (3,300), but larger than the iPhone X’s (2,716 mAh). Used in single screen mode, you’ll be able to get through a day, no problem. Open up that second screen, however, and you’re roughly halving that battery life. The biggest design pitfall, however, is right there, smack dab in the middle of those two screens. Current tech limitations put a gap in-between the two displays. It’s not really a big deal if you’re using the phone in multi-tasking mode, but man, that seam really ruins any attempt to watch a full-screen video on both displays. It’s a bit like getting seated behind a pole at a concert. You still get the full effect, but you really wish you’d looked at the seating map beforehand. The Axon M’s overall execution leaves something to be desired, but there are still compelling glimmers that point to some potential usefulness for the form factor. 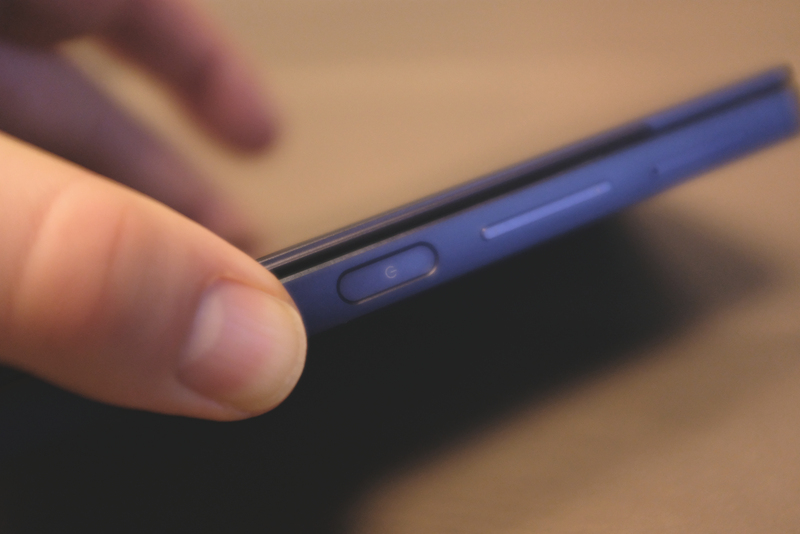 An “M” button below the display lets you toggle between different screen modes. There’s “dual mode,” which puts two different things on each screen; “extended,” which makes the two screens into one large image; and “mirror mode,” which, well, mirrors the image. Dual is far and away the most useful of the three — in fact, it’s really the one compelling use case for the handset. Here you can have two apps open at the same time, for true multitasking. The phone is powered by the year-old Snapdragon 821 processor, but it mostly does an admirable job here, assuming neither of the apps are too tasking. Extended is a bit of a wash, given the aforementioned gap issues, and mirror — I had a really tough time coming up with a decent use case. ZTE’s site shows the phone propped up in tent mode, so users can “Sit across from your friends and watch the same content on one device.” I honestly can’t remember the last time I really could have used that feature. For starters, it shrinks the available screen size back down to 5.2-inches on either side, while assuming there will be scenarios where sitting next to a friend just won’t cut it. ZTE’s already proven that’s it’s not afraid to take chances. 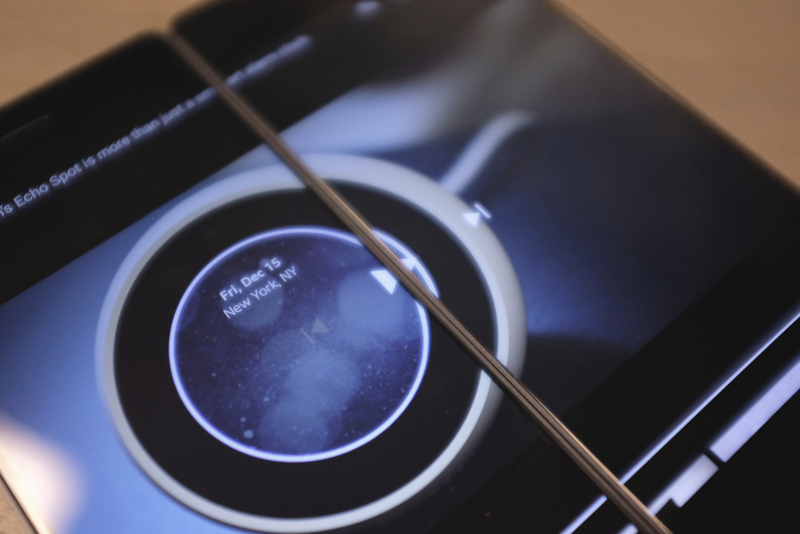 Take Project CSX, the company’s attempt and crowdsourcing a phone. Like that project, the Axon M is an interesting idea that is ultimately less than the sum of its parts — though at least here, the company was able to cross the finish line and bring it to market. The value of the phone ultimately hinges on how much you appreciate the novelty of the whole thing, but even then, $725 is a really tough price to justify for a phone with so many dated specs. Earlier attempts at dual-screen devices were pretty clear signs that the technology simply wasn’t ready to take the next step. Perhaps a handset packed with the latest and greatest technology could prove that the world is finally ready — though the bottom line on such a device would potentially make the iPhone X look like a steal. In its attempt to keep the Axon M reasonably affordable, ZTE has cut too many corners and a (literal) hole at the center of the device. Perhaps some day a phone will convince me that two screens are better than one. The Axon M is not that phone.